Professional service sales without testimonials: Fruit trees without bees! How many of us have provided a reference in the past or been on the other end and called and requested a reference for someone we were interviewing or considering for a job or project? Conducting such “due diligence” seems reasonable and prudent and is a well established part of the service sales process. As a provider of paid services, your ability to have former or current customers privately validate your value to their organizations is important. In fact, it may be the deciding factor in getting a purchase order or engagement. But getting your references to put their names to a few sentences that sing your praises and permission to publish their references on your website, review sites, and in social media is a special level of endorsement. It’s called a “testimonial,” and I believe that the most successful service businesses use them early and often to introduce themselves, help potential customers feel comfortable, and inspire trust. In other words, testimonials are invaluable at every stage of the service buying process. Surprisingly, many service businesses have no process in place to collect, compile, refresh, and publish their testimonials. In a study conducted by a Dutch consulting firm, potential customers were willing to pay more for a specific service when it was presented with effective testimonials. 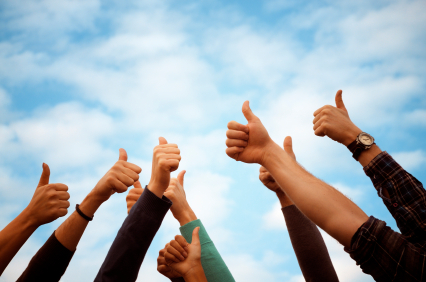 Campaigns built around testimonials are highly effective. Used as part of a professional sales person’s toolkit, they increase success. Asking customers how they liked their service or simply sending them a note and asking them to comment on their service experience does your customers a disservice. A hands-off approach may be a fine technique for quality assurance for internal use only. But many of your customers may be busy and generally not able to devote the time desirable for crafting an effective 2-3 sentence testimonial. Asking them to write something or trying to guilt them into responding and then posting their testimonials all over the internet with their name attached may embarrass them if there are inadvertent errors in grammar or spelling. And let’s not forget content! You want your testimonials to deliver the specific messages that will resonate with your customers. I think it is better to work with the people you’ve asked to provide testimonials and take the time to assure those testimonials will serve you well. A high-touch approach to crafting testimonials reflects well on the long-term customer relationships. Since you want customers with whom you have a long-term positive relationship to let you use their names and thoughts to promote your services, you need to stay connected with these customers. Encourage them to “like” your business Facebook page, subscribe to your YouTube Channel, and follow you on Twitter. Not into Internet stuff? Well, how about a quarterly seasonally appropriate greeting card--maybe with a free latte card enclosed—and a “thank you” for their ongoing help in growing your business. By the way, keeping in “loose touch” with these valuable contacts helps to assure your business a spot on their shelf of mind—and your name on their lips when someone asks about a good provider of your service. In days gone by, testimonials were used by sales reps to bolster presentations and facilitate sales. They could be put in context and additional details could be added verbally to facilitate their relevance to a specific sales situation. Today, regardless of where they are first posted (website, Yelp, Google Reviews), testimonials are replicated throughout the social web, where they remain searchable for years. Once on the internet in a few select places, other hands can spread the word and make testimonials about your service accessible to all. Consequently, these testimonials must be effective. Your potential customer sees only what is on the page, so a testimonial must be well-crafted and unambiguous. It is a short leap from “unambiguous” to “contrived,” and it’s no surprise that a premium is placed on testimonials that can be verified as coming from real customers and not as planted by paid “friends” of a business. Review sites like YELP have developed sophisticated software techniques for identifying genuine testimonials from faked ones. Use an Impartial 3rd party to collect your testimonials? Since testimonials are widely viewed as critical—heard of Angie’s List?--many businesses have begun to turn to third parties to collect and verify testimonials, both for logistic and practical reasons and because customers tend to trust testimonials that they can confirm are truthful. Several years ago, Amazon started adding the tag line “Amazon Verified purchase” to reviews to confirm that the reviewer had actually bought the product from Amazon about which the reviewer contributed a testimonial. Since that time, several firms have developed third party solutions that use the power of the internet to collect, vet, and publish testimonials, with generally good results for their customers. “Our experience indicates that our testimonials were 30% more effective in generating business when we used a verification firm to collect and verify”. This individual providing this testimonial used a firm called Testimonial Shield. Whether you do it yourself or hire someone else to do it, ask your customers to help you market your service business by sharing their experience of buying and using your service. Afterwards, stay in touch with these customers who provide testimonials and share with them the good news about your business with prospects, on networks, and in your channels.